A few selections earlier and John Martinez might have been a first. 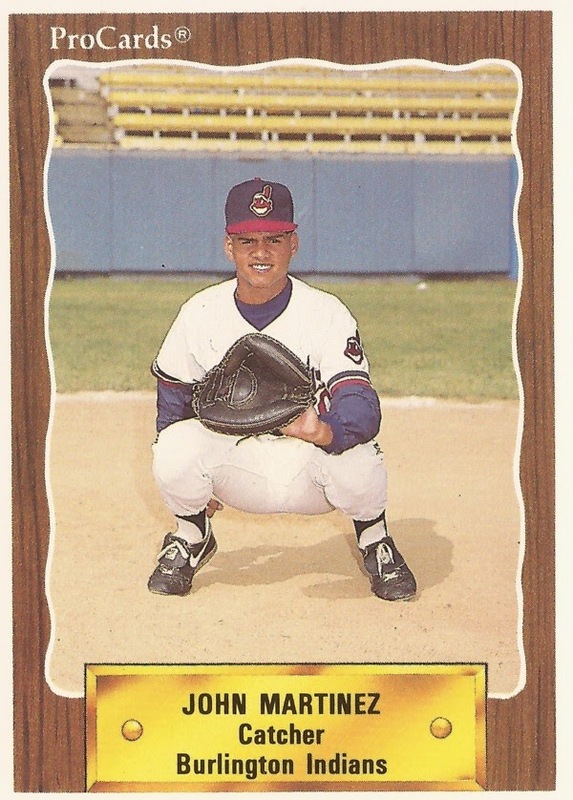 Instead, taken by the Indians 177th overall, in the seventh round of the 1989 draft, Martinez was a second. He was the second resident of Puerto Rico to be selected in the draft. Ed Larregui, taken by the Cubs three selections earlier, was the first, according to PerfectGame.org. That year in 1989 was the first year that players from Puerto Rico were included the draft. It was also the year that Puerto Ricans have counted as the start of the decline of Puerto Rican baseball, according to The New York Times. While Puerto Rico went on to see a long decline in the sport's fortunes there, Martinez' career ended up being relatively brief. He played just three seasons as a pro, never making single-A. Martinez' career began in 1989, taken by the Indians. He was assigned to the rookie Gulf Coast League. He hit .247 in 32 games, knocking in eight. For 1990, he moved to single-A Burlington. He got into 41 games there, hitting .263. He also hit what turned out to be his only professional home run. Martinez played 1991, what would be his final season, at rookie Pocatello. He hit just .192 in 34 games, ending his career.